Sugandhi has been involved with IIC since May 2016. 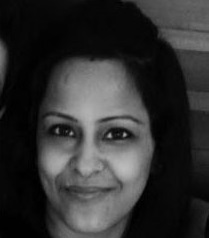 Sugandhi has had 8 years of work experience with Design Firms, Advertising Agencies & Luxury Brands. She has completed her Communication Design degree from Pearl Academy of Fashion. She has worked with brands like Raffles Millennium, Reddiffusion, Law & Kenneth and Moon Beam Capital. Sugandhi has done her B.A. (Honors) in English & Post Graduate in Retail Management.